AmWINS is the largest specialty distributor of property, casualty and professional lines insurance products such as public entities, construction risks. Their sales professionals are strategically located throughout the United States to service retail agents with innovative excess & surplus (E&S) lines and specialty insurance solutions. Lee Moore Insurance has been offering comprehensive insurance coverage to residents of the Sandhills since 1976. Contact us to learn more about our rates and plans. NCDOI is a state government agency that regulates insurance companies, agents and other special entities. For more information or answers to your insurance questions, visit www.ncdoi.com. Posts to/from this site are considered public record. Committed to the construction industry for more than 30 years, Builders Mutual Insurance Company offers policies for residential, commercial and trade. Brighthouse Life Insurance Company, together with its subsidiaries, provides individual annuities and individual life insurance products in the United States and internationally. It operates in three segments: Annuities, Life, and Run-off. The Annuities segment offers variable, fixed, and index-linked annuities for wealth accumulation on a tax-deferred basis, wealth transfer, and income security needs. The Life segment provides insurance products and services, including term, whole, universal, and variable life insurance products to address the financial security and protected wealth transfer needs. The Run-off segment offers structured settlements, various company-owned life insurance policies, bank-owned life insurance policies, funding agreements, and universal life policies with secondary guarantees. The company distributes its annuity products through brokerage firms, banks, other financial institutions, and financial planners; and life insurance products through general agencies, financial advisors, brokerage general agencies, and financial intermediaries. It is also involved in the reinsurance business. The Company was formerly known as MetLife Insurance Company USA and changed its name to Brighthouse Life Insurance Company in March 2017. The company was incorporated in 1863 and is based in Charlotte, North Carolina. Brighthouse Life Insurance Company is a subsidiary of Brighthouse Holdings, LLC. Wright Global Graphics is far more than a print shop. We're thinkers and craftsmen. With over 200 talented team members in four domestic facilities plus our facility in China, we make sense of branding and marketing, and we make it work for you. G4S Compliance & Investigations, Inc., an investigations company, provides enterprise risk management solutions. It offers corporate, surveillance, claims, hotline, fire, SIU, employment screening, and research solutions for insurance and risk management, corporate governance, and human resource issues. Its insurance investigation solutions include claims investigations, potential fraud investigations, medical provider investigations, database research, independent adjuster network, and fire origin and cause; and human resources and employment solutions include pre-employment screening, incident and ethics management, harassment/discrimination investigation, FMLA abuse, workplace violence investigation, employee dishonesty, executive background, and labor dispute. It provides corporate risk solutions, such as theft/loss, brand integrity, due diligence, vendor/provider, and executive protection investigations; and compliance and training solutions, such as SIU compliance, compliant hotlines, fraud and violence, workplace training, and harassment/discrimination training. It offers CaseTrak, a Web-based case management system that delivers investigation reports, streaming videos, photographs, and customized management reports; Enterprise Investigation Management for managing incident management process in an integrated environment; and Digital Dashboard, an interactive tool that provides on-demand reporting for organizations. It serves insurance entities, corporations, business organizations, and law firms. It has a strategic contract with Church Mutual Insurance Company. G4S Compliance & Investigations, Inc. was formerly known as MJM Investigations, Inc. and changed its name to G4S Compliance & Investigations, Inc. in January 2009. The company was founded in 1989 and is based in Raleigh, North Carolina with additional offices in Ontario, California; and Orlando, Florida. As of March 28, 2008, G4S Compliance & Investigations, Inc. operates as a subsidiary of G4S plc. PBM Graphics, Inc. provides commercial printing, graphics communication, and fulfillment services in North America. The company offers prepress services, such as scanning, proofing on paper and synthetic substrates, digital asset management, electronic, and computer-to-plate services; commercial printing services; print on demand services; and fulfillment services, including ordering, production, stocking, and shipping. It also provides binding/finishing/packaging services that include in-line perforating, folding, and gluing; wire-O binding and punching; accordion, roll, gate, and pharmaceutical folding; dimensional packaging; packaging design and engineering; coating and polybagging; 2-D bar-coding and variable imaging; insert and onsert of materials; and stitching with in-line die cutting. In addition, the company offers card printing services, such as UV printing; foil stamping and embossing; variable data imaging and verification; sequential foil/inkjet numbering; fin seal wrapping, shrink, and cello; printing on foils/plastics/metallic/holograms; round/square corner trims; laser die-cutting; custom pack-outs; blister packaging; in-house packaging design and production; and warehousing, kitting, and distribution services. Further, it produces point-of-sale and display packaging materials on a variety of board stocks, including synthetics (styrene/vinyl); provides prepress coordination, project management, reporting and measurement, and strategic implementation services; and supports product launches, sales training events, direct-to-consumer marketing projects of pharmaceutical, and more in pharmaceutical industry. The company was founded in 1983 and is headquartered in Durham, North Carolina. PBM Graphics, Inc. operates as a subsidiary of R.R. Donnelley & Sons Company. NC Mutual (originally the North Carolina Mutual and Provident Association and later North Carolina Mutual Life Insurance Company) is an American life insurance company located in downtown Durham, North Carolina and one of the most influential African-American businesses in United States history. Founded in 1898 by local black social leaders, its business increased from less than a thousand dollars in income in 1899 to a quarter of a million dollars in 1910. The company specialized in "industrial insurance," which was basically burial insurance. The company hired salesmen whose main job was to collect small payments (of about 10 cents) to cover the insured person for the next week. If the person died while insured, the company immediately paid benefits of about 100 dollars. This covered the cost of a suitable funeral, which was a high prestige item in the black community. It began operations in the new tobacco manufacturing city of Durham, North Carolina, and moved north into Virginia and Maryland, then to major northern black urban centers, and then to the rest of the urban South. Carolina Business Technologies has a vast selection of copy machines, printers, and office equipment available for sale or lease. Repair services available. Headquartered in North Carolina, Professional Solutions, Inc. has been providing customers with exemplary services since 1984. It has a team of creative pros that offer a comprehensive list of services such as marketing, printing, corporate branding, and office space planning. 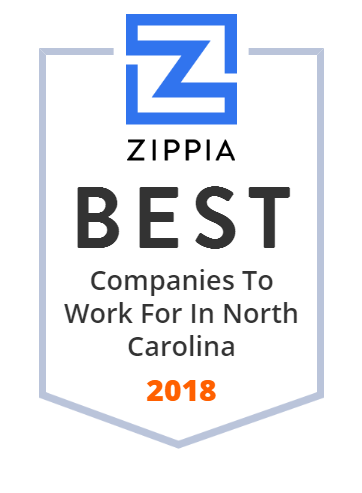 Today, the company has helped more than 2000 businesses of all sizes across a range of industries throughout NC and the US. Cool Printing, Promotional Products and Other Neat Stuff since 1973!